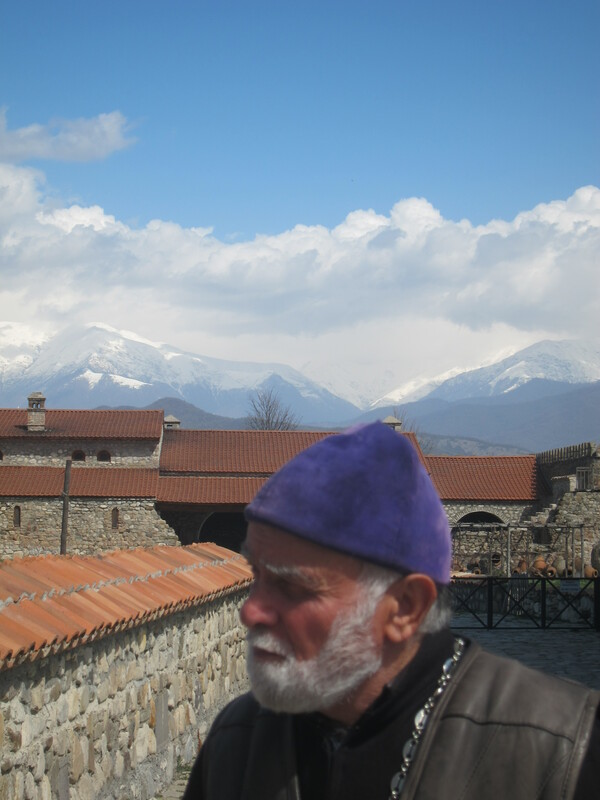 Georgia’s easternmost region of Kakheti is a land of hospitable, openhearted and straightforward people who live surrounded by rugged mountains, ancient castles, magnificent churches, and drink wine to praise the almighty for each harvest of their nurtured grape yards. Kakheti is unquestionably a must-see for any visitor to Georgia. 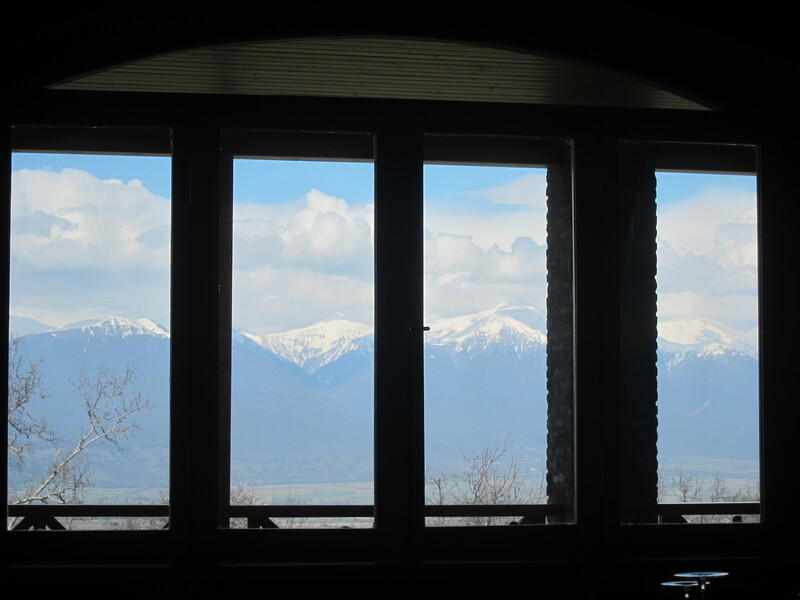 With its generous landscapes and people, Kakheti offers an unforgettable experience to its first-time visitors and those who are well acquainted with its heart-warming culture. Known almost exclusively for its vineyards and wineries, this wide and fertile valley presses up against the white-topped Dagestan Caucasus to the north and the Azerbaijan wetlands to the south. Hot enough in summer to ripen any grape to perfection, the morning fog and the abundant rivers flowing down from the high Caucasus help fill them with bold flavor. 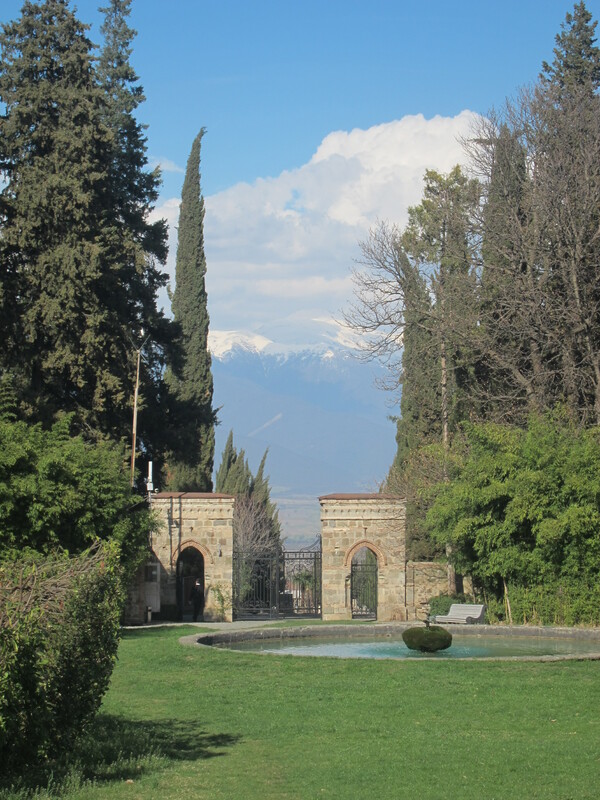 History of Kakheti winegrowing takes a start from VI millennium BC. Grape leftovers, discovered by the archeologists, date back to the mentioned period and they are the oldest around the globe, which proves once again that Georgia is a homeland of wine. 500 out of world-known 2.000 grape species are Georgian. Everyone can enjoy the world’s oldest wine culture and discover the unique Qvevri tradition of clay pots used to create delicious, unﬁltered, organic wines. Touring this region for wine tasting is becoming ever more popular, and there are many different wineries you can visit and taste variety of wines. Chateau Mere a 1,500 sqm (16,146sq ft) stone castle with four pointed towers and wood paneled balconies occupies 15,000 square meters (180,000 square yards) of land. To accommodate diverse interests of its guests Chateau Mere complex comprises a winery, a restaurant, a big conference hall, a gift shop, an outside swimming pool and a horse stable. The Winiveria wine company (2005) represents one of the first agro tourism attractions in Georgia. Winiveria wines made according to ancient Kakhetian wine-making technology are unfiltered to keep and bring best properties of Georgian wines. Winiveria wines are made in clay jars (kvevri) and preserved in them for fermentation and maturation. The aging process continues in oak barrels or in bottles. 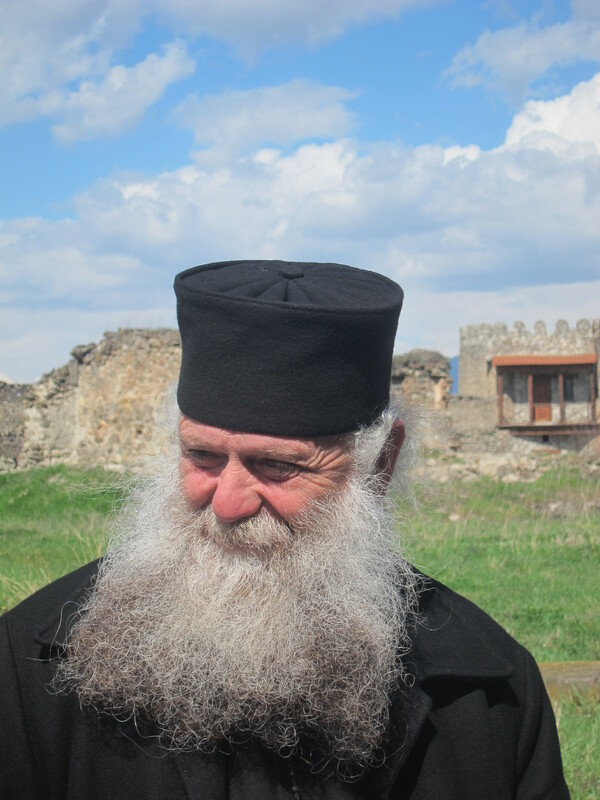 Visit theAlaverdi Monastery – founded in 6th century. The complexincludes: a refectory, a belltower, a wine cellar, a bathhouse and etc. dating back to different centuries. Here you can taste tradition Georgian qvevri Wine. Make sure you go once the Kveri are sealed ie from October to March otherwise the monks may not show you inside the winery. Ladies make sure you wear a long dress and gents should wear trousers as opposed to shorts. Of particular interest is the fact that the Kveris, once sealed are not opened again until around the beginning of April so they don’t really know what has happened in the pot until it’s opened. The monk picture here told us that it’s like having a baby you don’t know how it is until it is born. Other wineries such as Shuchman highlighted below do indeed monitor how the wine is evolving before bottling. On his travels, wine connoisseur Burkhard Schuchmann discovered Georgia and its longstanding wine tradition.He soon recognized the potential of the Caucasus-sheltered grape varieties such as Saperavi, Rkatsiteli, Mtsvane, Ojaleshi, and Kisi – to name but a few – from which great wines are made. Having traveled countless kilometers across Kakheti and surveyed scores of vineyards along with viticulturists and other experts, he worked out a plan to both ensure and even enhance to European standards the quality of Georgian grapes by applying “sustainable wine-growing and wine-aging methods”. 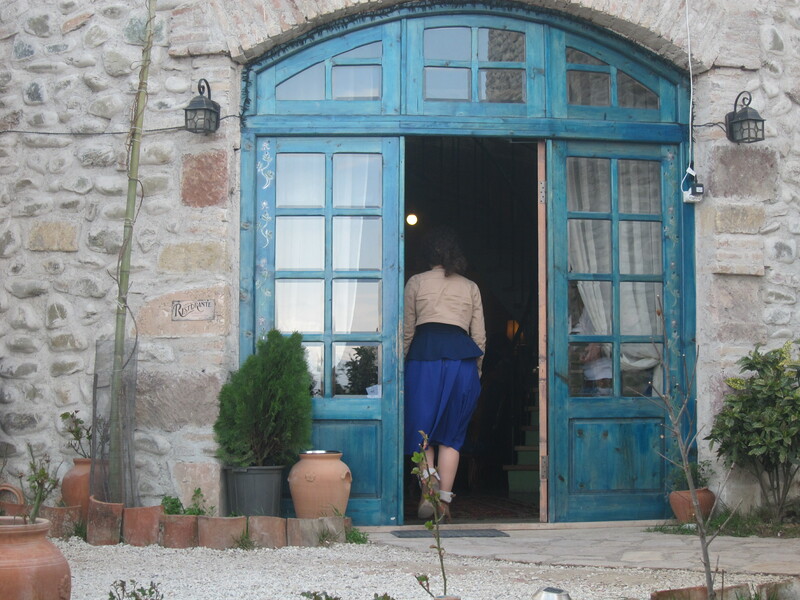 Tsinanadali, besidesits interesting history iswell known for its winery modeledafter the European styleby the nobleman AleksandreChavchavadze. You will visit the Museum andEnoteca, where the rare, various andover a century old wines are kept the legendarycollection of wine samples andtaste the softness, aroma andacidity of the wine.It is surrounded by a splendid garden which is the first model for a merger between natural and manmade decorative landscape in Georgia. wines are fermented and aged in qvevri, clay vessels lined with organic beeswax and buried in the earth. They ferment using naturally occurring yeasts and painstaking attention to achieve wines of character and sophistication deeply rooted in the richness of the Georgian soil and Georgian culture. 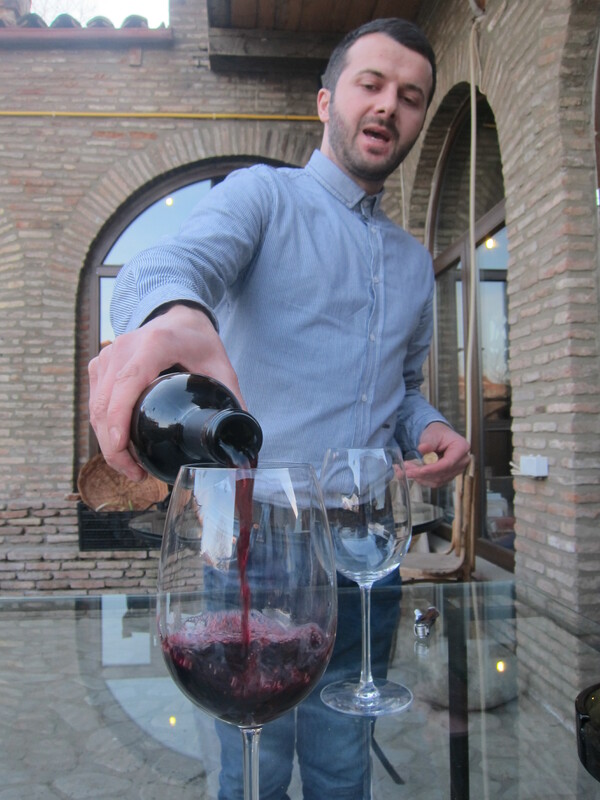 Owner, John Wurdeman has a friendly and customer orientated restaurant come wine tasting bar in the beautiful walled town of Sighnaghi which is well worth a visit for lunch or dinner. The 2014 Internaional Wine Tourism Conference and Workshop will be take place in Georgia from 28 -29 March and there will be plenty of opportunities to discover the Georgian wine regions, pre and post conference.